MANILA - (UPDATED) Supreme Court spokesman Theodore Te has resigned, some 3 months after he tweeted "I dissent" immediately after the removal of former Chief Justice Maria Lourdes Sereno. Atty. Ma. 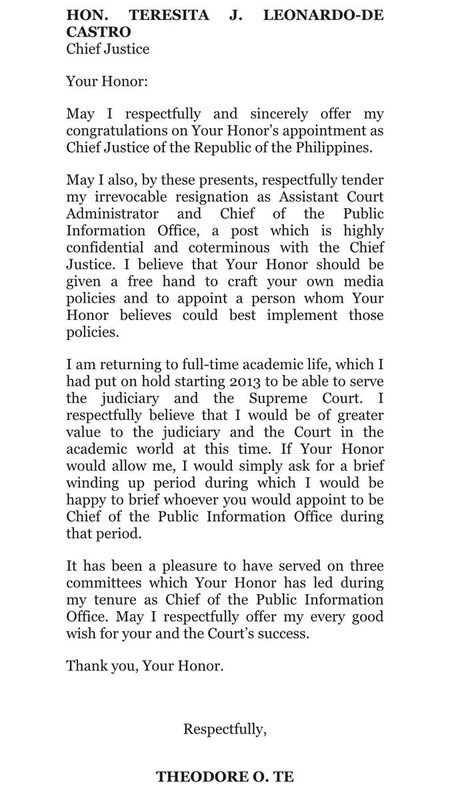 Victoria Gleoresty Guerra, Deputy Chief of the high court's Public Information Office, will be its acting chief when Te steps down effective September 7. Te is co-terminus with the ousted Sereno. In a statement Monday, Te said he believes newly-appointed Chief Justice Teresita Leonardo-de Castro should be given a free hand on choosing the new spokesperson of the high court. The lawyer said he would be returning to the academe as a professor, where he believes he "would be of greater value to the judiciary and the Court" at this time. 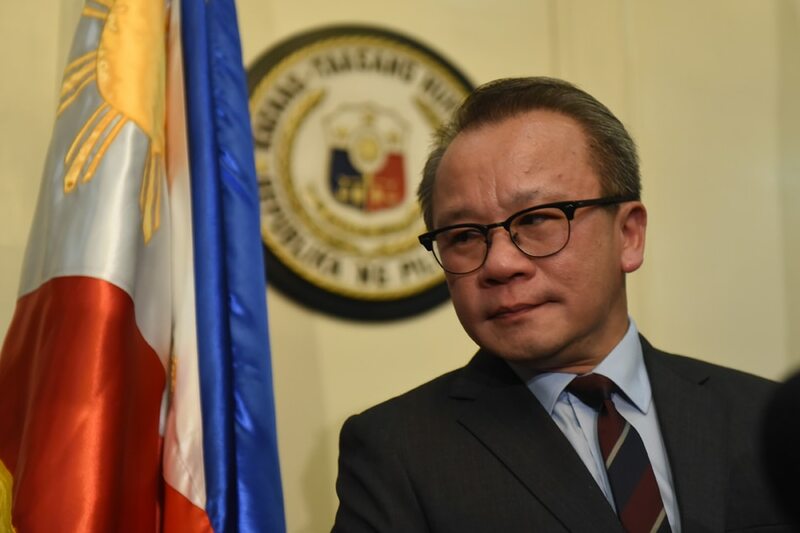 Te, a longtime human rights lawyer before he served as Sereno's spokesman, did not say if his May 11 Twitter post was about the former Supreme Court chief's removal via an unprecedented "quo warranto" proceedings. Te and Sereno both taught at the University of the Philippines College of Law. As head of the SC Public Information Office, Te spoke on behalf of the court on decisions and other official announcements. Te gained prominence in the 1990s after he sought to stop the execution of Leo Echegaray, the first convict to be executed by lethal injection after the reimposition of death penalty. Refresh this link for more details.